Nintendo is promoting Pokemon Diamond and Pokemon Pearl with a series of television advertisements featuring Pokeballs falling from the sky. The 60 second version of the Pokeballs ad, released on May 18, begins slowly. Children on high rise buildings look to the skies. In the country children witness the arrival of balls from the skies. 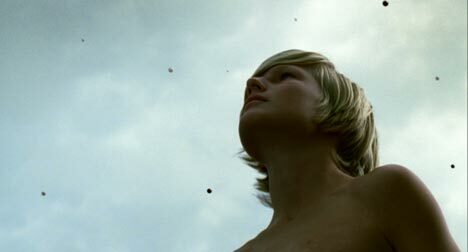 A young bather watches with awe as balls splash into his swimming pool. As a girl looks through her apartment window we balls reflected in the glass. 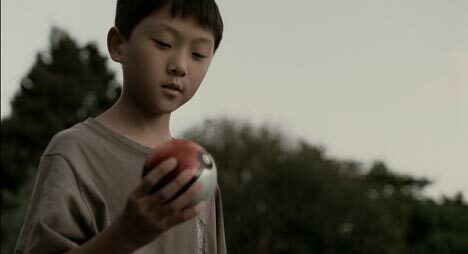 Finally we discover what it’s all about as a boy spies a Pokeball caught in an escalator. This is clearly a worldwide phenomenon – children in playgrounds, on beaches, shopping centres, schools and parks discover that the new Pokemon are here. The Nintendo Pokeballs campaign was developed at Leo Burnett, Chicago by senior VP/executive creative directors Bill Stone and Dominick Maiolo, VP associate director Tom Gorton, VP/associate creative director Jason Wright, VP/executive producer Mary Cheney, and producer Juan Woodbury. Filming, on location in New Zealand, was directed by Benjamin Blank via Locksmith, Culver City, with executive producer Steve McDonald, director of photography Ian McCarroll and producer Megan Francis. The Pokeballs spots were edited at Rival Editorial, Santa Monica, by Karen Knowles Zuniga with assistant editor Jason Dopko and executive producer Bill Fortney. Visual effects were developed at Hi-Ground Media by executive producer David Hofflich, creative director/ VFX supervisor Duy Nquyen, coordinator Judd Rubin, CGI artists Adrian Diamond and Erik Lee. See my story on the Honda Jet Sky ad, also managed by Hi-Ground. Sound was mixed by Jeff Fuller at Eleven Sound, Santa Monica, by Jeff Fuller, with executive producer DJ Fox-Engstrom. Music was composed by Justin Hori, with creative directors Larry Pecorella and Bryan Rheude at Comma Music, Chicago. Telecine was the responsibility of colorist Sean Coleman at Company 3, Santa Monica. The 30 second versions of the ad provide 15 seconds from the full ad, along with 15 second of hard sell explanation.